The amount of bad reviews this book honestly shocked me. I picked this book up based on the blurb “An obstinate girl who will not be married. A soldier desperate to prove himself. A kingdom on the brink of war” I was expecting a strong-willed heroine, amidst of some politics where the solider is in the thick of it. What I got was more than what I expected, including spies, treason, and romance. 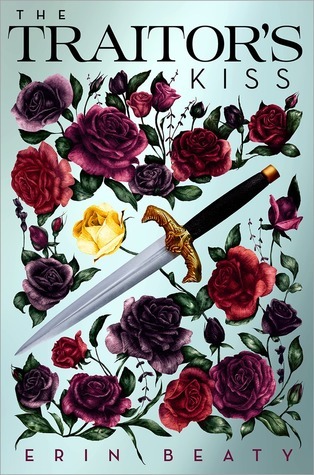 In short, Traitor’s Kiss was quite good. The characters were well developed, and all had their personal motives. The plot was character-driven and included layers with some foretelling that made all plot-twists a surprise. Overall it was well paced. Sage was relatable, determined and at-times somewhat annoying, but she remained true to her character. Her agility in thinking joined with her fierce attitude was what kept the story going. “Ash” on the other hand, was the quiet and composed character who would think more than act. Together they made a great team. I also feel that marriage by match matchers concept hold true to this day, since many eastern countries still follow this, and often young girls are left to their luck in this matter. Some of my concerns from this book were the map, it can definitely be improved to include many of the locations that were mentioned in the story but weren’t in the map. The other thing that I felt was missing was more information on the military and backstory of Sage. I’m looking forward to Book 2 which hopefully will address some gaps from this book.